So Many Shapes! So Many Quilts! What an exciting week this has been! 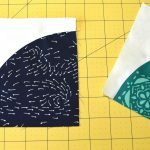 Last week I told you about my new Classic Curves Ruler and newest pattern, Pisces. I am so grateful for the enthusiastic response and I’ve spent the week sending out orders. I am really excited to see all the curved piecing creations that are going to happen! Today, I want to expand a bit on the variety of shapes possible with the Classic Curves Ruler. I have been playing around with it quite a bit since I had the idea and created the first cardboard version of the tool. 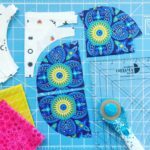 It is fun to play around with cutting and piecing and cutting again to see what is possible! The most basic shape is the quarter circle, or drunkards’ path. 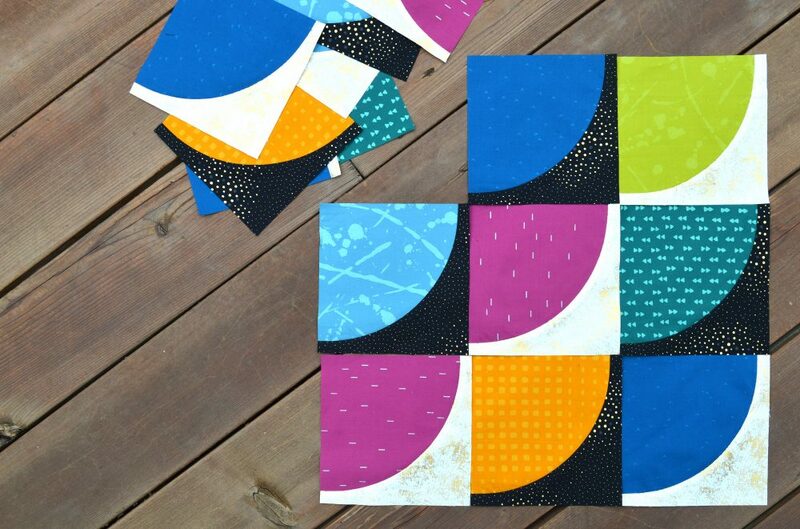 This versatile little block can be set together with others in a million different ways. Maybe not a million, but a ton (-: I made the little mini quilt above to display in my booth at Quilt Market. I love how simple it is but still has movement, and the fabric prints are the star. Another mini I made for the booth. This block is made from the Pisces pattern, but instead of orienting the blocks in a clamshell layout, I turned them into full rings. I think this one is so cute! It is also the first time I cut into my precious stash of the newsprint fabric that I used as the background. This layout and color variation give the Pisces design a different look from the original: less drama and contrast, but still really dynamic. Other ideas for the Pisces blocks: lay them all out going the same direction (like the drunkards’ path blocks in the top quilt), or make a winding snake/road affect by turning them all different ways but keeping the arcs connected. The possibilities are endless! A completely new and unexpected shape! Isn’t it amazing how many things can be done with the new Classic Curves Ruler? 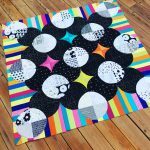 I am so excited to keep making quilts and writing patterns to go with it! 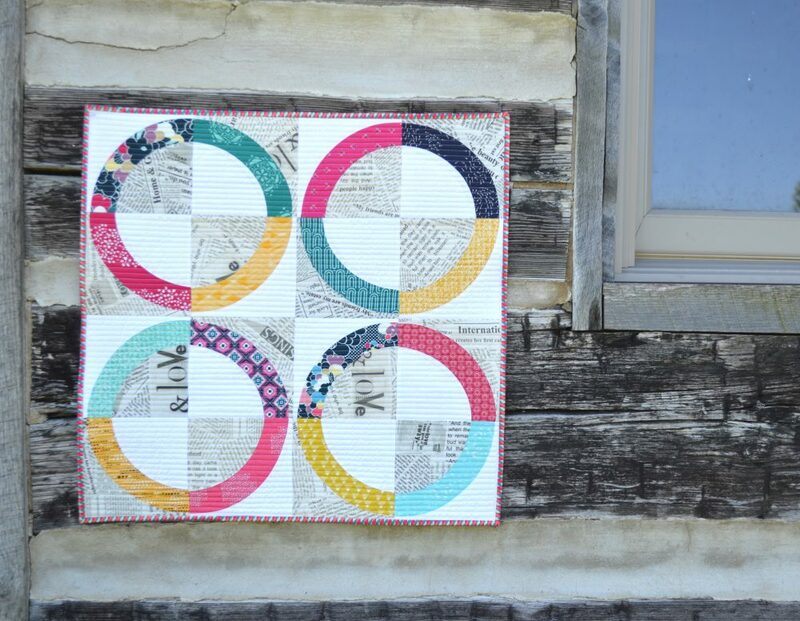 This little quilt was an experiment with a more gradual arcing curve, not the full quarter circle. I especially love how fresh this one looks with the summery colors paired with white. 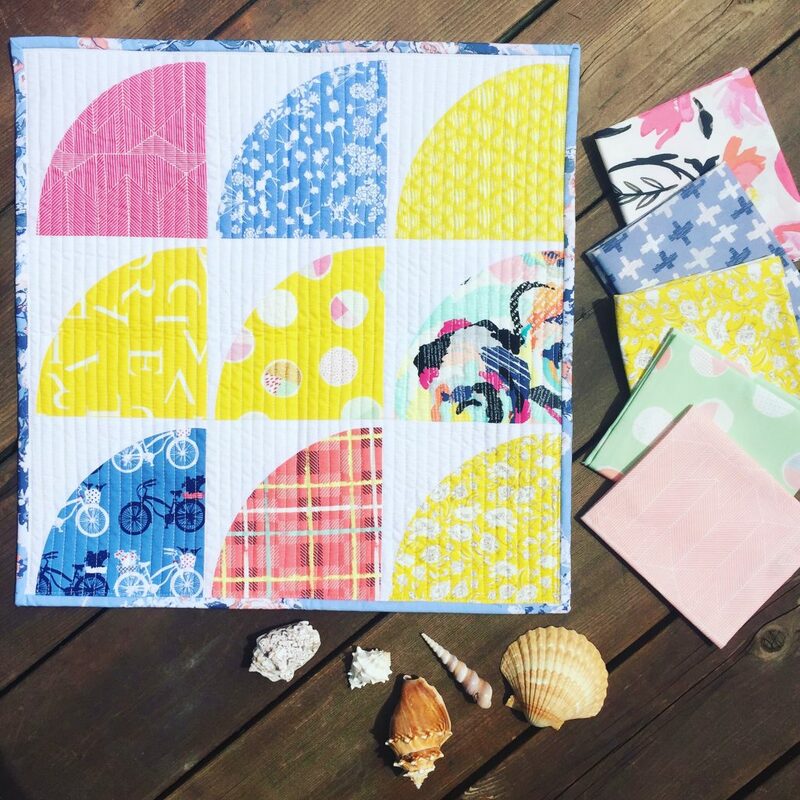 The great thing about mini quilts is how quickly they sew up and allow you to try new ideas, shapes, and techniques. I want to eventually make a larger quilt with this design. It will be fun to play around with layout and fabric placement for different looks. Next time I’ll share with you the second pattern I have ready to go for the Ruler. I hope that if you received one already you are having some fun with it. 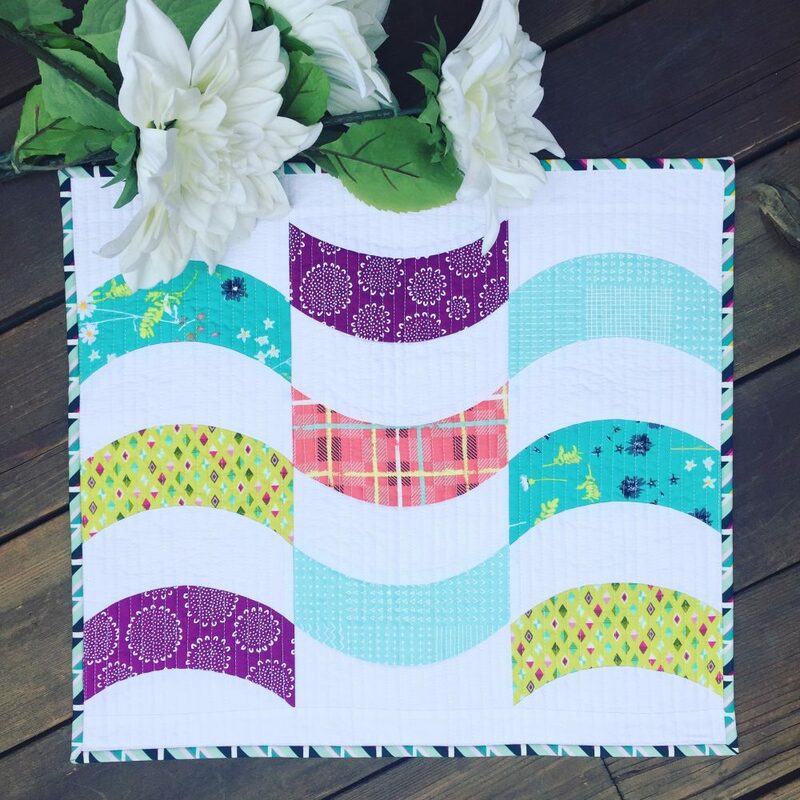 If you make the quilt that comes with the ruler or the new Pisces pattern (or whatever else you think of), be sure an tag your photos on Instagram with #classiccurvesruler. Be sure and sign up for my mailing list! Announcing My Biggest Project Ever! 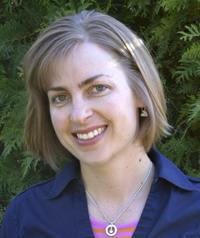 Thank you, Helen! looking forward to seeing your creations! started playing with my ruler and Pisces pattern this morning – in love!!! I am so excited! thank you. I would love to see what you make!